Select a size: 1.2 Fl. Oz. Lift and glow. Organic anti-aging gel. 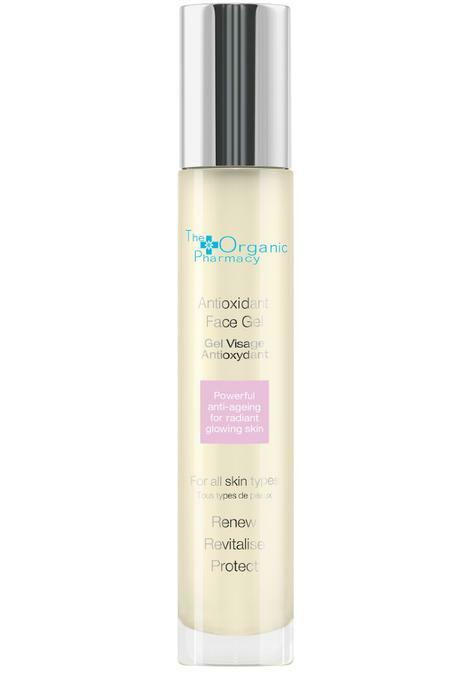 Rich in herbs, marine botanicals and minerals, this organic lightweight gel gives collagen a boost to lift and tighten skin and shrink large pores for a firmer, more flawless finish. Combine one pump of Antioxidant Gel with one pump of Antioxidant Face Firming Serum and apply to damp skin after cleansing and toning.